We know the story–the boss wants a sign lit, the budget is slim, and someone is getting phone calls off the hook about when a light will be installed so customers can find your place of business after hours. We’re sure many customers don’t appreciate an unlit sign after dark when they’re trying to find your business location. A loss of business means a weak bottom line, and installation for a lit sign or a simple light just isn’t in the numbers. We’ve got a solution for you that might pique your interest: solar sign lighting. If solar is new to you, read on and we can save you some money. The biggest cost with lighting anything these days is purely trenching; we’ve saved some customers several thousands of dollars on day one of installation for their solar lighting systems. We’ve received quotes directly from our salespeople that state our customers have saved at most 20 percent with solar powered sign lights. That’s just initial savings. Plus, we’re sure our customers don’t like seeing monthly bills drawing energy from the main power grid. Use the power of the sun to illuminate signs and landscape. What if Solar Power Doesn’t Work Well for Signs? We’ve got a pretty strong idea of the landscape in terms of how solar operates across the states. If you’re worried about overcast days darkening more than just the sky, rest assured that solar isn’t going to quit out on you day one. Our solar powered sign lights are actually rated to last up to an entire week, even with an entire day of dark stratus clouds blocking out Earth’s closest star. We’ve got batteries that store the solar energy that can be buried to avoid unsightly bulk around your business sign. Or, if you prefer, you can keep the batteries above-ground for easier access when you need to change them. Just to be clear, batteries to power solar lights last up to 5-7 years. If you want to bury the battery, 5 years is a pretty lengthy time to start digging again. Regardless, you’ve got power for your solar sign lights even if the sun doesn’t show up for a few days. We’ve done the math and know the finances behind the figures. If you’ve got a sign that you need to light, save the money up front and go with solar lighting for signs. We’re pretty certain the sun will rise tomorrow, just as it has today and yesterday. That’s something you can rely on just as much as our products. Contact us to learn more about our solar sign lights and knock 20 percent off your bill up front. What’s the Need of a Solar Motion Detector Light? Solar powered devices, like LED lights, tend to do two things very well; they save money on energy usage and they have a smaller environmental footprint because nothing is “burning.” That’s clear to everyone whether they’re a solar user or not. But there’s an application for solar lights that isn’t always considered in the vast options for solar lighting installations. We try to strive for convenience when it comes to lighting at Greenshine New Energy, so we’re taking solar to a new level by discussing the positive points with solar outdoor motion lights. There’s convenience in the details, and we discuss them below. Imagine you’re in the middle of a field and it’s darker than midnight outside. There’s a set of lights nearby, but they don’t have remote controls to turn them on and you misplaced your flashlight. Fumbling around in the dark trying to find the controls on a panel isn’t favorable when you could simply just walk near the intended area and have your lights blink on effortlessly. That’s the “power” of the solar motion sensor light! Coupling a light with a motion sensor provides convenience where there isn’t, and light when you need it the most. Skip fumbling around in the dark to find a switch or configuring complex remote controls; we’ve got you covered with lights that blip on when you’re near ‘em! Sometimes it isn’t a matter of being able to see your surroundings that’s the greatest concern—it’s also being able to see what’s nearby. Security lights play a large factor in certain applications, and it isn’t practical for any light to stay on 24/7 (unless you enjoy spending gobs of money on energy bills or want your solar lights to burn out quick). That’s why using a solar motion detector light is a fantastic idea to ward away vandals and anyone with a negative intent near your area of concern. Our solar lights have saved the day for many, and it’s just another application for our products that we’re happy to be a part of. When a solar motion sensor light is used, you can be sure to use the energy you need when you need it and not when you don’t! Using a sensor is the easiest way to conserve even on the most abundant energy source available for us–the sun. Plus, a light coupled with a sensor is ideal for passive maintenance. Less use on the solar battery, less use of the light, and less use of the entire system overall ensures longevity since you only use the system when needed. That’s about the gist of how solar outdoor motion lights are some of the best in the business–they’re on when you need them, off when you don’t, and they draw the energy from the sun. We call that a win-win-win situation, where you get a product that fits your needs perfectly. It’s just one of the things we do at Greenshine–pairing products with people for perfect solutions. Contact us to learn more. Which Decorative Solar Street Lights Are Best for Me? We’re sure decorative solar street lights aren’t on your mental list of topics to talk about with friends over a round of drinks next weekend. It’s not trending in the news, nor are influencers tweeting out about lights because it’s the new craze everyone’s into. However, we recognize that lights are needed some times, and those times you need a decorative light to make your property look appealing. Maybe it’s the case you’ve got a pathway you want lit, or perhaps you’ve just planted gardenias and you want to highlight them for those guests visiting. Whatever the case may be for your decorative lights needs, we’ve got some tips on what to choose if you’re the kind that wants to light up the night while saving some dollars on energy. What Kind of Light Works Best for Me? You’ve probably browsed your local hardware store with an entire aisle of fixtures, bulbs, housings, and a myriad of other gadgets that don’t quite hit the mark for what you’re looking for. If you’ve got a pathway, small park, or even a little garden you want lit, and dragging an unsightly cable out to the light doesn’t do the job (we don’t like cables either), go solar. Here’s an option we like to stand by. Figuratively *and* literally. We’ve got the Lita decorative outdoor solar light that combines a lot of features into one. First, it’s clearly decorative. The shepherds hook arm on top of the pole (up to 14 feet high) points directly downward to illuminate small areas like pathways, or those gardenias you love to talk about with your friends. Plus, a 10-20 watt LED fixture powered by the solar panel above it is enough to really make your area shine with power to last for about a week after full charge from the sun. Just keep in mind that your light battery must be buried for this kind of light, so if you’re working with dirt, you’re in the clear. Are There Any Other Lighting Options? Maybe your garden is a little larger? Or perhaps your current lighting situation isn’t enough to cover all that you need? Or maybe your garden is covered with concrete and you can’t dig to place a battery? If Lita isn’t your perfect choice, we’ve got other decorative solar street lights that are meant for larger areas. The Greenshine Classica is a bit of a larger light fixture with a pole up to 15 feet high and a light fixture rated at 30 watts. There’s an “acorn” style light fixture, different from the shepherd’s arm for the pole, but the pole and light fixture are much larger. Plus, this decorative light is still rated to last a week after a full battery charge! What’s The Cream of the Crop? The Best? The Brightest? So if you’ve seen our decorative options and they don’t make the cut, we’ve got more in store. Do you need something brighter, bigger, and sturdy enough to weather several storms? Take a gander at some of our largest decorative hanging solar lights, the Lumina series. With bulb wattage up to 80W, a 26-foot maximum pole size, and different hanging light fixtures to choose from, it’s the beast of the best. These decorative solar lights are often used in public areas that need a lot of coverage and a mighty pole to last a long while. We hope our selection for decorative solar lights narrows down your choices. It saves you a trip to the store and you’re not given hundreds of options to select from. 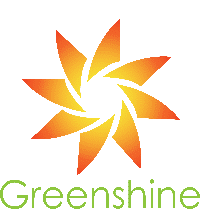 We at Greenshine New Energy take pride in our simplicity, knowing that we’re the top in our field when it comes to affordability, reliability, and, well, we like to boast a bit about how our lights look too. Contact us for more information. The ability to gather, enjoy the outdoors, and create memories with friends and family plays a big part in our everyday lives, and the need for outdoor public spaces is growing nationwide. On top of building the infrastructure, adequate lighting is one of the most common design requests parks and recreation officials receive from patrons. Lighting can clarify the layout of outdoor spaces by emphasizing walkways, focal points, gathering places, and building entrances. More importantly, it boosts safety after dark. In recent years, the trend of using energy-efficient technology and reducing environmental impact in lighting design has proliferated in the country’s construction space. Park administrators, in particular, have chosen to use solar lighting technology for many of its projects. Three major areas of concern with lighting include 1) safety after dark, 2) energy efficiency, and 3) trenching and wiring. Lighting can be used to enhance safety and increase park usage. The metropolitan areas in Los Angeles, California were troubled by frequent gang-related crimes, especially during the warm summer months. After the local parks and community leaders adopted a program called Summer Night Lights, which extends the nighttime operating hours in eight parks to ensure the safety of children and families from violence in the neighborhoods, they achieved overwhelmingly positive results. The Summer Night Lights program doubled in size its second year and has become a national model for reducing crime by keeping the lights on a little longer. Modern lighting technology and fixtures are maximizing park resources and making it easier to adopt energy-efficient, cost-saving strategies. For example, the New York Power Authority will spearhead an effort to install 500,000 LED street lights by 2025 in New York, the largest municipal lighting system in the country. The program, called Smart Street Lighting NY, could cut energy use by 482 gigawatt hours annually, saving taxpayers $87 million a year according to New York Government. Since LEDs use only a fraction of the power of incandescent or sodium-vapor bulbs, they can be powered by solar panels, which makes them standalone lighting systems that eliminate wiring, trenching, and other installation costs associated with grid-tied lights. Solar lighting can be installed in environmentally sensitive areas and locations far removed from the existing electrical grid, making them a popular choice for park projects around the country. Since the costs of trenching and wiring are avoided, solar lighting is the most cost-effective solution from day one. The system is not subject to brownouts or blackouts and can power through extreme weather like hurricanes for five days without sunshine. The environmental benefits and savings on electricity costs make solar lighting a compelling option for park construction. It can also help projects qualify for LEED points. After understanding the technology and applications of different lighting systems, parks and recreation officials should consider a holistic approach to customizing the lighting design based on their city’s specific requirements. The advent of LEDs and solar power systems has also given landscape architects more opportunities for creativity, turning parks into landmarks and therebye drawing more visitors. If you have questions regarding the specifics of lighting design, such as the hierarchy of lighting types and intensities, placement of lighting, consistency of lighting, and coordination with park signage, etc, feel free to reach out to the Lighting Experts of Greenshine New Energy. In the past, light was measured in watts, which directly measures the amount of electrical power a light bulb consumes. Therefore, people used to expect light intensity to be a function of how much power a light required—higher watts mean brighter light as well as a higher electric bill. Today however, lumen is a popular measurement for light. A lumen is the unit that defines the intensity of light. This unit can be directly related to the amount of light energy that is being emitted from a particular light source. You will find the specifications for how many lumens a particular bulb emits from its packaging. In short, the difference between watts and lumens is as follows: wattage measures the amount of electrical power a light bulb consumes; lumens measure the actual brightness, regardless of how much power is needed. When choosing outdoor lighting, lumens are a more valuable measurement than watts. After continuous practice combined with user feedback, we have summarized the different lumen requirements for various outdoor lights. Lumens have substituted watts to become the new light measurement, because a bulb with higher wattage doesn’t mean it will produce a brighter light. Nowadays, we are trying to produce more light using less energy, and we have to consider 2 things: the bulb and the energy. The era of incandescent bulbs is gone (read more in the historical evolution of outdoor lighting bulbs), and the winner is the LED bulb. Although some places still use fluorescent lights, LED has become more and more popular due to its long life and extremely low power consumption. The sheet below shows the power consumption of 3 types of bulbs, and there is no doubt that LED saves the most energy. With the use of LED lights, solar-powered lighting becomes a more viable option, which saves on energy bills in the long run. Solar power is a green, renewable, and sustainable energy source. It will never run out and can provide lighting indefinitely. It won’t produce greenhouse gases which contribute to global climate change. It’s obvious that there are various advantages to solar energy, which is why they continue to grow at a rapid pace. In conclusion, people today use “Lumens” to measure the light brightness and how much lighting they need. Under the premise of producing the same lumens lighting, LED bulbs consume much less power than fluorescent and incandescent bulbs. What’s more, LED bulbs combined with solar energy saves you even more on your electricity bills. Whether they do it for saving money or being environmentally-friendly, many cities in America have already switched to solar LED lights for their outdoor street lights, park lights, and so on. Please contact Greenshine New Energy for more information about solar led lighting. What kind of light bulb do you usually see for outdoor Lamps? An Old-fashioned incandescent lamp? Fluorescent light? Or LED lights? You can read the full history of outdoor lighting in the USA here. Gas lighting was developed in England in 1790 and introduced to the United States by William Murdoch. The first place in America to use gas lighting was Pelham Street in Newport, Rhode Island. It was not long before gas fuel was used for street lighting in major, eastern American cities, such as Philadelphia and Baltimore. Various types of gas fuel include methane, acetylene, butane, propane, hydrogen, and natural gas. Gas lamps are one of the symbols of the Age of Steam, but as people began to enter the age of electricity in the 19th century, gas lamps gradually faded out of fashion. The story of the electric lamp begins in 1802 when an Englishman named Humphrey Davy invented the first “arc light”. His lamp produced illumination by creating a blinding electric spark between two charcoal rods. However, this lamp was impractical for daily use: on the one hand, the light was too bright; on the other hand, it could not stably produce light for a long time. However, the principles behind Davy’s arc light contributed to the development of other electric lamps and bulbs introduced in the 19th century. It should be stressed that Edison was never the first or the only person who tried to invent an incandescent lamp. Warren de la Rue, William Sawyer, and Joseph Swan were all devoted to pursuing this goal. Where Edison succeeded and surpassed his competitors was in developing an inexpensive and long-lasting light bulb that has practical significance. Standard incandescent lamps are commonly used in traffic lights, although they are increasingly being replaced by other advanced lamps. The revolution of outdoor lighting never stopped. To improve the efficiency of light bulbs, people invented the fluorescent lamp, a low-pressure mercury-vapor gas-discharge lamp that uses fluorescence to produce visible light. The invention of the fluorescent lamp started with Alexandre E. Becquerel, who observed that a substance emitted light when it was placed in a Geissler tube in 1859. This phenomenon is called fluorescence. In 1901, Peter Cooper Hewitt invented and patented the mercury-vapor lamp, which is considered the precursor of the fluorescent lamp. However, using mercury vapor produced a greenish light. Later on, Jacques Risler introduced a fluorescent material to coat the lamp in 1929, which turned the chromatic light into white. A fluorescent lamp is more efficient in converting electricity into light. The typical luminous efficacy of fluorescent lighting systems is 50–100 lumens per watt, several times the efficacy of incandescent bulbs. Therefore, fluorescent lamps are also called energy-saving lamp. Fluorescent lamps for outdoor street lighting were first introduced for commercial use at the 1939 World’s Fair. However, the development prospects of fluorescent lamps are not good. They fell out of favor for street lighting because they 1) are large; 2) produce a diffused non-directional light; and 3) are fragile. In addition, some fluorescent lamps are classified as hazardous waste due to the presence of substances such as mercury. Therefore, in some areas, fluorescent street lights have been recalled by the government. Technology always leads to progress. An LED lamp is a type of solid-state lighting which uses a semiconductor to convert electricity into light. It is often small in area (less than 1 square millimeter) and emits light in a specific direction, thus reduces the need for reflectors and diffusers that can trap light. So far, the most promising lights for the 21st century are considered to be LEDs. LED lights, the youngest brother of all the lamps we have talked above, are undoubtedly the best lights compared to the aforementioned traditional lamps. They can save six to seven times the energy, cut energy use by more than 80 percent, and can last more than 25 times longer than conventional incandescent lights. At present, LEDs are specially used for solar lights. The combination of the most advanced lamp and the most environment-friendly energy makes solar LED lights the best choice for city’s streetlight construction. What If Solar Powered Homes Were the Norm? Here at Greenshine New Energy we are big fans of all things solar, after all it’s great for the environment, saves energy and lowers energy costs. With the recent legislation passed in California requiring every new build home to have solar power which will take effect in the next two years, we wondered what would the impact of this be if every state adopted this legislation? To answer this question we looked at new build home data and calculated the average new build house size and amount of solar panels able to fit on its roof to determine power generation capabilities for each major city. We then looked at the average electricity rates and use by city to determine potential electricity bill savings. The average new build home in America could fit a total of 18 solar panels on its roof. With four hours of sunlight a day and each solar panel being able to generate 250 watts each, this would generate 18 kWh of electricity per day, 540 kWh per month and 6,570 kWh per year. Throughout America, Houston is the city that would benefit the most from California’s legislation requiring all new build homes to have solar panels installed. Houston has the highest amount of new build homes with 17,881 built-in 2018 so far and these homes could fit a whopping 321,858 solar panels generating over 9 million kilowatt hours of energy per month resulting in monthly electricity bill savings of over $1million for the city. Other cities saving big include Dallas with savings of $905k, Atlanta with over $723k, Phoenix with over $624k, and Austin with just under $396k. Hartford is the city that would benefit the least from California’s legislation requiring all new build homes to have solar panels installed. Hartford is building the least amount of new build homes with only 285 built-in 2018 so far. With such a small number of homes built the Hartford would see monthly savings of $19k with 5,130 solar panels producing 153,900kwh per month. Other cities with small monthly electricity bill savings from new build solar panels include Buffalo with savings of $23k, Rochester with $24k, Pittsburgh with $26k, and Grand Rapids with $55k. With the new California legislation coming online in 2020 we wondered what the impact would be on California if it was in place since the start of the year. California to date has built 16,698 new homes and these homes could fit over 300k solar panels generate 162 million kWh for the state. When we look at the cities with the highest electricity bills, Birmingham leads the way with an average monthly bill of $140.46. Jacksonville follows closely behind with a monthly bill of $139.25 and New York City with a monthly bill of $136.85. Looking at cities across America which could save the most on their electricity bills with solar panel installation on new build homes, New York City tops the list with a gigantic monthly saving of over 90% dropping their average household electricity bill from $136.85 to $12.65. Sacramento homes, whilst not having the highest amount savings throughout the US, would see their monthly electricity bill become nearly $0 with a monthly bill of $0.89, thats a 98% saving!With such tangible savings, hopefully in the near future we’ll see multiple cities adopting this new legislation and solar power become a mainstay in cities from new houses to streetlamps.